OKAY MY FELLOW HIPHOP HEADS THIS ONE IS FOR YOU! MY BIG BIG HOMIE “JAY CLASSIK” REACHED OUT LAST WEEK AND ASKED ME IF I WANTED TO DROP A COLLAB TAPE, SO OF COURSE I SAID LETS DO IT! SO THIS TIME I GOT TO TEAM UP WITH MY FELLOW HUSTLE SQUAD DJS/MILLION DOLLAR FAMILY BROTHER “DJ SAMP” AND WE WENT IN ON THIS ONE!!! ENJOY!!! 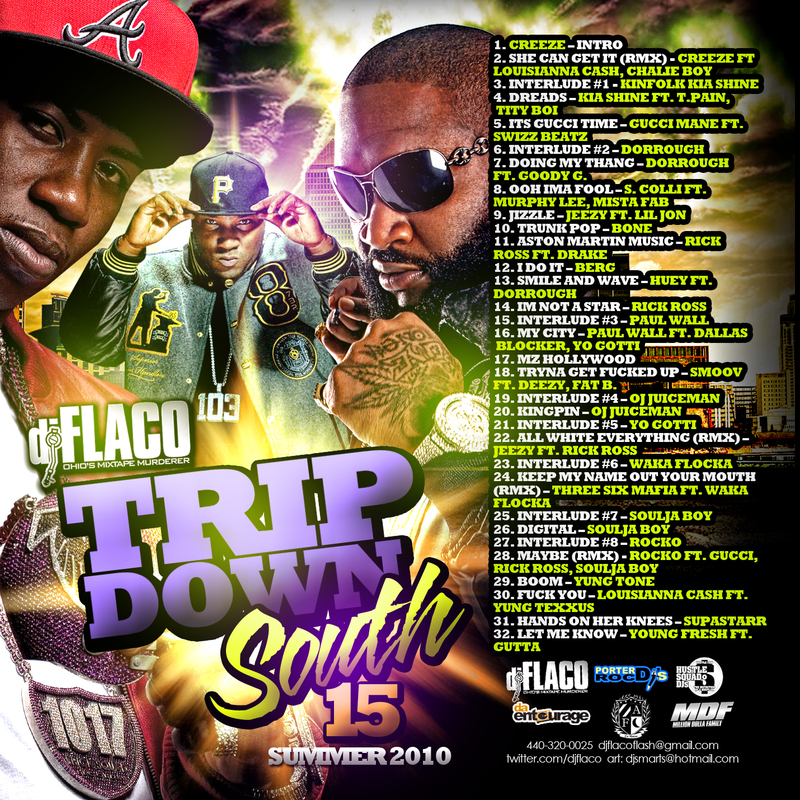 LISTEN TO IT ON DATPIFF!!! AIGHT ITS A LITTLE PAST DUE BUT OH WELL ITS JUST MUSIC. 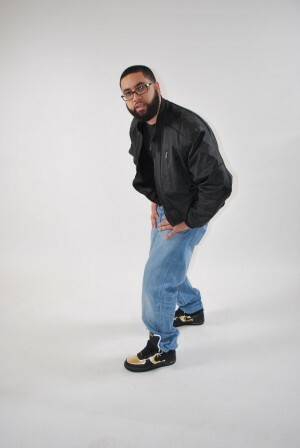 SO THIS TIME I TEAMED UP WITH MR. VALENTINO AKA BOBBY V. GOOD LOOK HOMIE! WELL LADIES ENJOY!!! WHATS UP WORLD? HOPE ALL IS WELL, I KNOW ITS GOOD THIS WAY! EXTRA EXCITED, IM NOMINATED FOR AN AWARD AT THIS YEARS “IDJ AWARDS” (INTERNATIONAL DJ AWARDS) IN ATLANTA! SO ITS NOT JUST ANY OL’ AWARD, IM NOMINATED FOR “MIXOLOGIST OF THE YEAR” WOW! 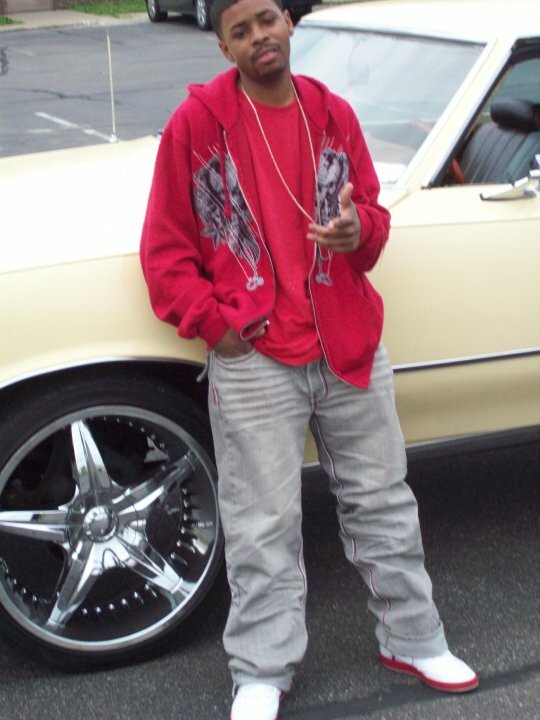 SO IF YOU GET A CHANCE SLIDE OVER TO THE SITE AND VOTE FOR THE KID. IT WILL TAKE 2 SECONDS JUST FOLLOW THE LINK BELOW OR CLICK ON THE LOGOS!!!! THANKS!!! 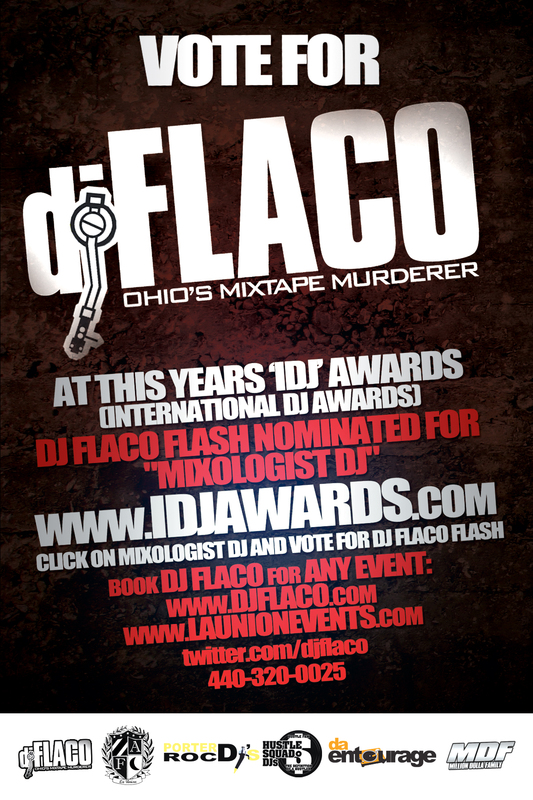 VOTE FOR DJ FLACO, CLICK HERE!!! AS YOU ALL KNOW THE 2010 BULLRUN MADE ITS 1ST STOP (AND 1ST TIME EVER) IN CLEVELAND THIS YEAR! GUES WHO WAS THE OFFICIAL DJ? YOUR BOY FLACO FLASH AND YOU KNOW I HAD TO BRING THE TEAM WITH ME (LA UNION) MY MANS DJ DANNY VEY HELPED OUT WITH THE TUNES FOR THE NIGHT! BIG SHOT OUT TO ICE-T FOR HOSTING FOR A BIT! 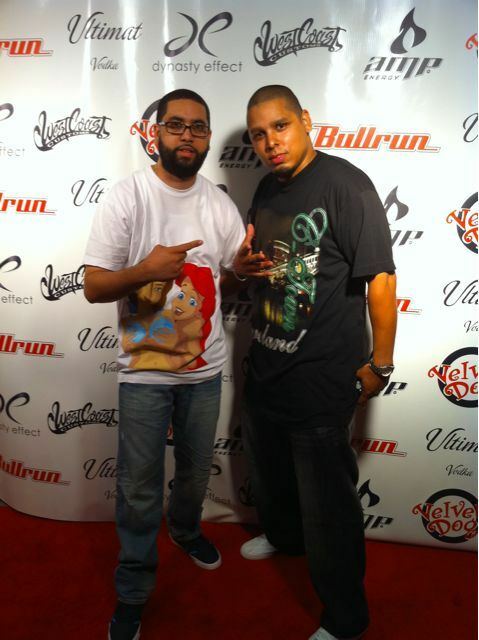 HERE GO ME AND DANNY VEY ON THE RED CARPET! JUST A LIL MIX WITH A COUPLE OF MY FAVORITE REGGAE TRACKS FROM THE PAST YEARS. 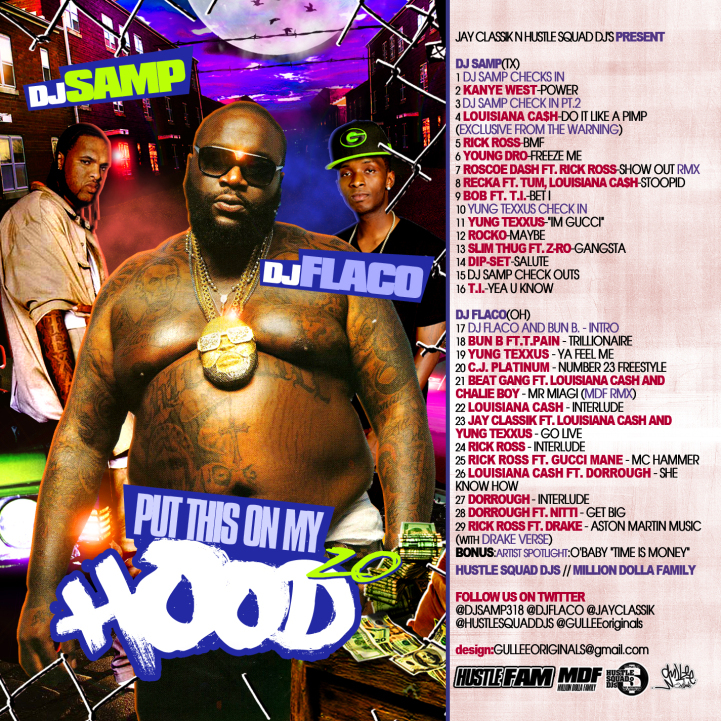 I START THE MIX WITH ONE OF MY FAVORITE REGGAETON TRACKS BY TEGO CALDERON CALLED “PEGAO A LA PARED” MIX IS HOT! ENJOY! SOME OF YOU ALREADY KNOW HOW BIG “BULLRUN” IS AND FOR THOSE OF YOU WHO DONT, WELL HERE IS YOUR CHANCE! 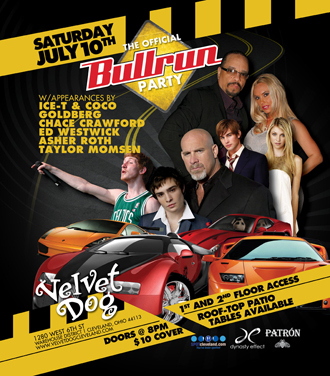 BULLRUN 2010 MAKES ITS FIRST STOP SATURDAY JULY 10TH 2010 AT “THE VELVET DOG” ON WEST 6TH STREET DOWNTOWN CLEVELAND, OHIO! MUSIC OF COURSE BY YOUR BOY “DJ FLACO FLASH” AND ALONG SIDE OF ME TONIGHT WILL BE DJ DANNY VEY. BE THERE!! !